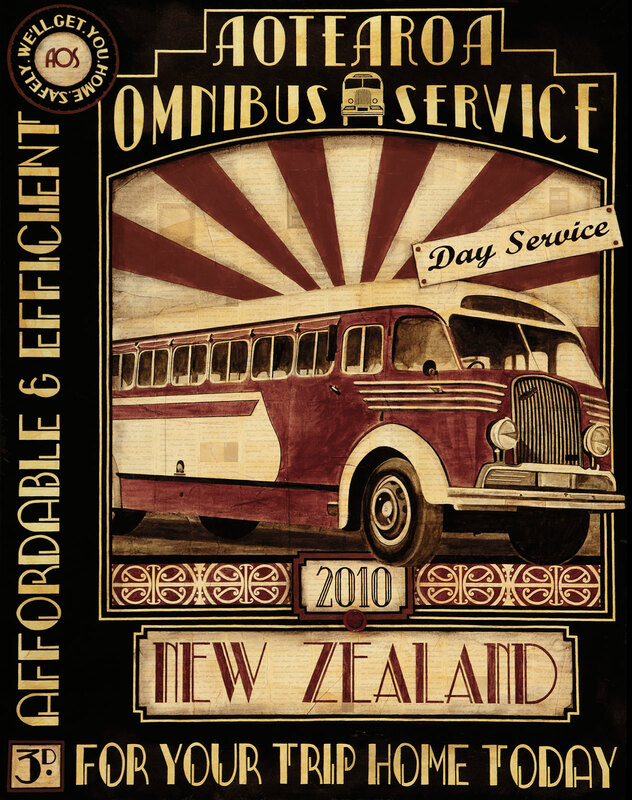 To all of the stunning retro and art deco buses that ruled the roads of New Zealand!! Many of which are now house buses, which puts a new spin on ‘The Journey Home’. Bus: I chose to do a painting of this particular bus as it was the Eastbourne bus back in 1950. 3d – 3 pence, the very affordable price for that efficient transport.